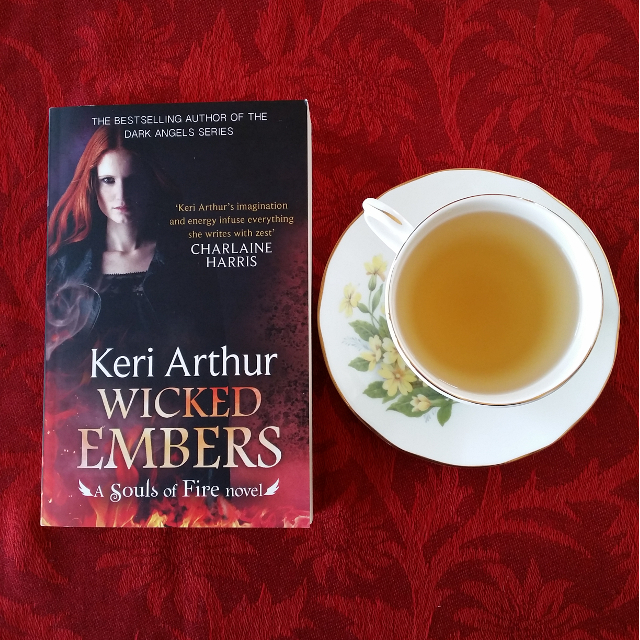 Keri Arthur, New York Times bestselling author of Fireborn, presents the thrilling new Souls of Fire Novel featuring Emberly Pearson, a phoenix that can transform into a human—and is haunted by the ability to foresee death…. Given how much I loved Fireborn, I was surprisingly disappointed with Wicked Embers. It wasn’t a bad book, but it didn’t make the most of the elements it had. As with the last book, it begins with one of Emberly’s prophetic dreams and dives into the action from there. Danger looms on all sides–from the creature of which Emberly dreams, from the two vampire factions looking to shut down her investigation, and from the mysterious grey-cloaked figure seeking to capture her. Indeed, I found the romance took a backseat to the thriller elements in this book. If you’re looking for gun battles, chase scenes and explosions, Wicked Embers has you covered. However, despite all the action, I actually found the pace a bit slow in places. The revelation of the Grey Cloak’s identity and the truth of what has been going on with Emberly’s ex, Sam, was late in coming and so obviously signalled throughout both books that it proved no surprise. I also felt the repetition regarding the evolution of the creature’s prey was unnecessary, though I understood the reasoning behind it. I was pleased to see Emberly’s polyamorous relationships continue. Each of her relationships remains distinct, with different dynamics at work. Unfortunately, they remain pretty stagnant throughout the book and don’t develop beyond the parameters set in Fireborn. It also had me noticing a distinct lack of female characters beyond Emberly. A few potentially significant female characters were mentioned, so I’m hoping to see this change in future books. As a phoenix, Emberly has some impressive magical abilities. Nevertheless, she kept within the boundaries established in the first book and I enjoyed seeing some new limitations established. In fact, I found the magical world-building to be a highlight of the book and enjoyed the introduction of a couple of new forms of magic. Overall, I found Wicked Embers to be an entertaining but flawed book.